during qualifying for the Monster Energy NASCAR Cup Series Auto Club 400 at Auto Club Speedway on March 15, 2019 in Fontana, California. NASCAR is expected to tweak its qualifying procedures ahead of the March 31 Monster Energy NASCAR Cup Series race at Texas Motor Speedway near Fort Worth after a qualifying debacle at Auto Club Speedway in Fontana, Calif., on Friday in which none of the 12 cars that advanced to the third and final round of qualifying posted an official lap during the last round. 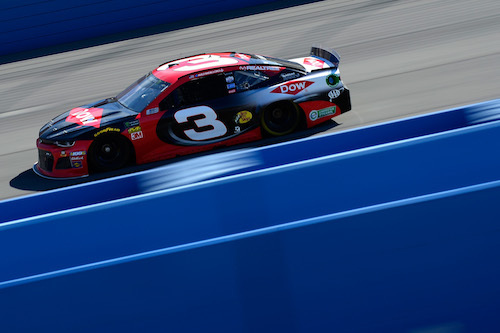 NASCAR’s new aerodynamic rules package for 2019 that includes larger spoilers and splitters, aerodynamic ducts and tapered spacers has created drafting during qualifying at the two tracks all components of the package have been in use — at Las Vegas Motor Speedway and Auto Club Speedway. As a result, drivers don’t want to be the first one onto the race track and have other drivers go out right behind them and take advantage of them during qualifying. Chase Elliott was the only driver who failed to post a third-round lap late in the round at LVMS. But at ACS on Friday, all 12 drivers in the final round played the waiting game too long, and NASCAR, as a result, referred to second-round laps to set the top-12 of the starting grid. Many of the fans in attendance expressed their displeasure in the lack of on-track action in the third round of qualifying with boos as the session ended. The Cup Series races at the short track Martinsville (Va.) Speedway on March 24. Drafting will not be an issue there.